There I stood, 4 minutes power left on my laptop battery and I’m holding the plug ready to connect to an outlet. The problem? My laptop is American and I was standing in my quarters in Uganda. There was power at hand, the ability to complete my projects within reach and I could not make it happen. 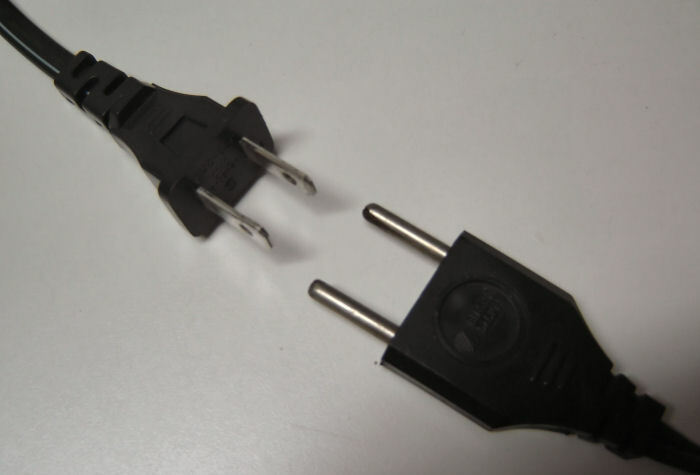 I had a two prong plug with flat blades for a 110 volt system but Uganda is wired with large three prong plugs like those used in the UK supplying 220 volts. I needed an adaptor and I needed to be able to be an adapter. Of the many personal competencies evident in superlative leaders, the capacity of adaptability is one of the most useful and expedient. There are, of course, two spellings for the word, each implying a slightly different application. An adaptor is a device that enables one device to connect with or fit to another device. A leader can function in the same way as a facilitator. Often we must create the means whereby processes or people can work together. You can bring divergent personalities to focus, take the principles we’ve learned in one field and adapt them to our present circumstances. I spent most of my career working with the leaders and managers of non-profits, but I quickly learned that the principles of leadership and management are universal even if the practices whereby they are employed may vary depending on circumstances. People are, after all, people. An adapter is one who is able to change according to the needs of the time and the environment in which s/he participates. So we as leaders not only enable systems, processes, and people to modify themselves, we must be able to do so as well. The management style studies pioneered by Douglas MacGregor opened the door to such thinking. Not only did he examine X leaders , authoritative and top/down, and Y leaders , persuasive and cooperative, but he challenged that leaders and managers who are the most effective are able to adapt themselves and their style to any situation. Following through on that idea is the imperative that leaders cannot be martinets. No prima donna that must have things just so and demands that everyone adjust to their demands could ever be named among the ranks of superlative leaders. While the leader may be a key individual, neither companies nor organizations exist to make them happy, fulfilled, or celebrated even though their work and successes may result in all three. Further, superlative leaders know that the trait of adaptability demands they accept the fact that no strategy and no tactic regardless of how well it is thought out and planned ever survives contact with the real world without modification because they are always subject to unforeseen events and the independent will of others including the competition. Lastly, and contradictorily, adaptability is not indecisiveness nor is it timidity. No, superlative leaders have a fixed objective. It is the means and systems to get there that demand adaptability … in them and in us.